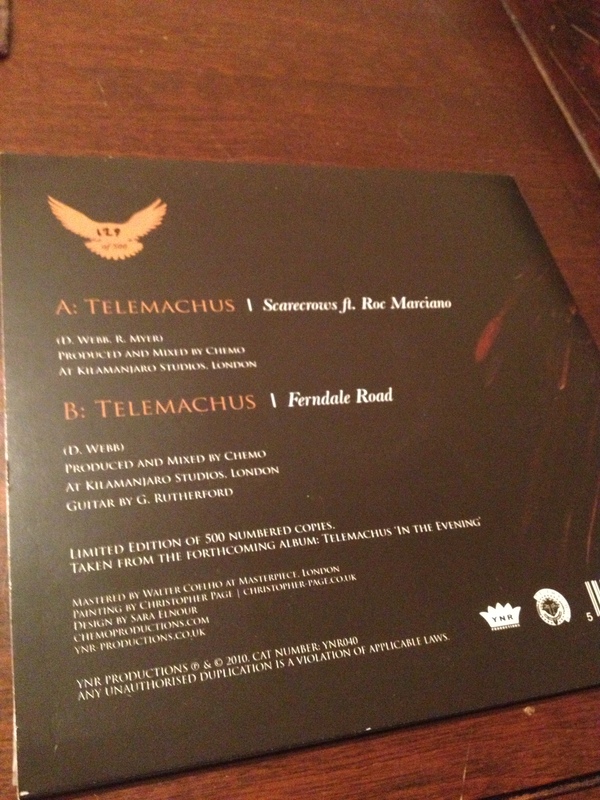 Artist: Telemachus & Roc Marciano. Right before ‘Marcberg’ dropped and Roc’s influx of some not so solid guest appearances, he layed down the slick talk on this feature. The eerie time stretched soundscape, produced by the well established Chemo aka Telemachus, compliment that signature Marciano tone real nice. It’s got a ‘Snow’ kinda vibe to it like Madlib or Roc himself produced it. So on point with the wordplay here too. Pretty happy I snagged one of these a few years back. Limited to 500 worldwide. Taken from the 2013 released LP ‘In The Evening’. Peep the clip over the ‘King of New York’ visuals. Extra dope! 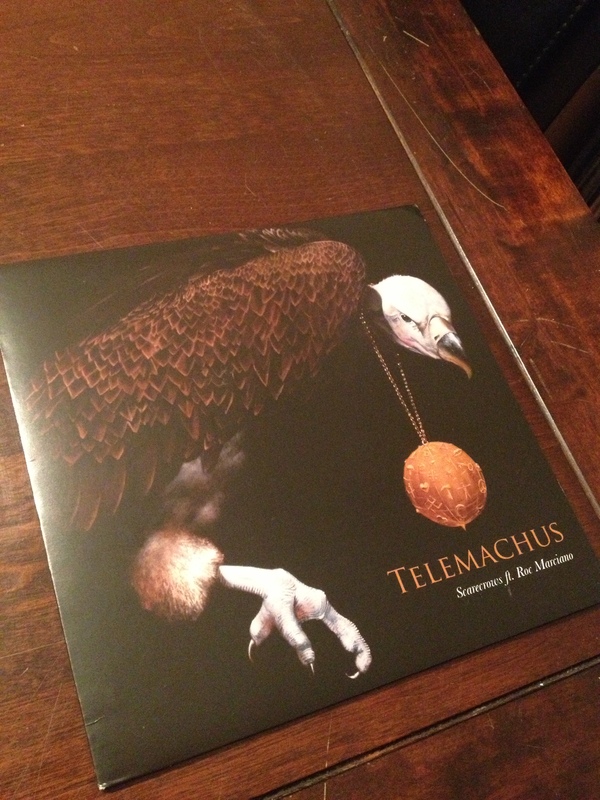 Posted on August 21, 2014, in 45 FRIDAY and tagged 7" Vinyl, Chemo, Hip-Hop 45s, Roc Marciano, Scarecrow, Telemachus. Bookmark the permalink. Leave a comment.